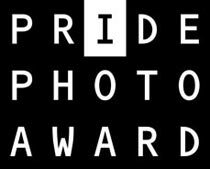 Copyright: You grant Pride Photo Award permission to use prize-winning material in the contest, the exhibitions, the catalogue, the website and for the promotion of Pride Photo Award activities for the 2014 edition, without any remuneration being due. The first prize winners in every category will be flown to Amsterdam to attend the Awards Ceremony which will take place on August 29th, at the Amsterdam’s historic Old Church. The number of unique photos entered as a series may not exceed a number of 10 photos. Online submission of digital photographs via the website. Image requirements: at least 3,000 pixels on the longest dimension; JPEG format, at the highest quality setting; 72 DPI or higher; an embedded ICC profile is required. Recommended profiles for color images are AdobeRGB or sRGB. Gamma 2.2 is recommended for black and white images; The maximum file size 8 Megabytes.